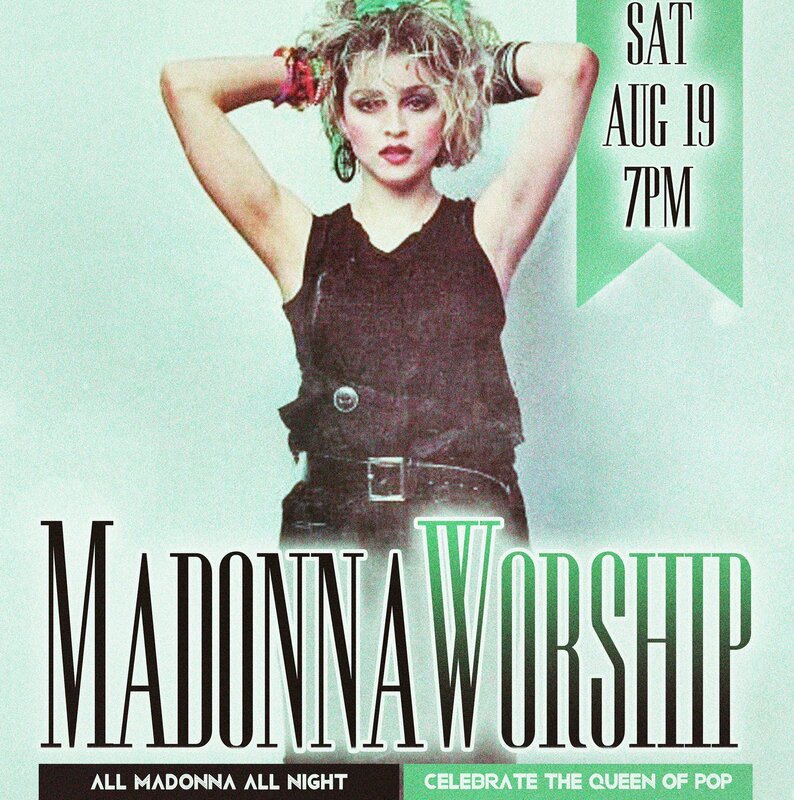 The 9th Annual #MADONNAWORSHIP Night At The Legendary Stonewall Inn Saturday, August 19th! click now to RSVP on Facebook! The 9th Annual #MADONNAWORSHIP Night At The Legendary Stonewall Inn Saturday, August 19th! Celebrate Madonna’s Birthday with some of her biggest fans in the world! The House of Dandridge has garnered quite the reputation for one of the most unique and creative events celebrating the legacy of Madonna, the queen of pop! Kicking things off with a ‘Reinventions Benefit Concert’, featuring a wonderful array of talented NYC musicians, drag queens and performance artists who reinterpret and reinvent songs from Madonna’s vast catalogue, the event raises money each year for local LGBTQ related charities. This year’s beneficiary is The Stonewall Inn Gives Back Initiative. Immediately after the fundraiser, DJ Chauncey D and DJ Lorant take the helm and spin Madonna tracks and remixes, from rare to popular, from within her entire 30+ year career to a jubilant, packed to capacity crowd of Madonna superfans and novices alike. The event takes place on the second floor of the legendary Stonewall Inn on Christopher Street in the heart of the West Village on Saturday, August 19th a few short days after her 59th birthday. The party is usually so popular it spills on down into the first floor bar, the power of #MADONNAWORSHIP takes over the city for the night and is the talk of the town for months and months following! Enjoy a very special Madonna Worship Megamix created by DJ Chauncey D! DJ Chauncey D Returns To The Deep End for BEAR MILK Friday, August 4th!